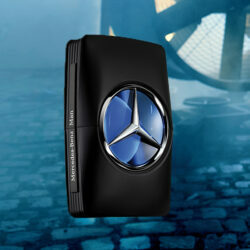 Mercedes Benz Man by Mercedes-Benz is a Aromatic fragrance for men. This is a new fragrance. Mercedes Benz Man was launched in 2015. The nose behind this fragrance is Olivier Cresp. Top notes are pear and ambrette (musk mallow); middle notes are geranium and cedar; base notes are oakmoss and palisander rosewood.